TWMLA is extremely pleased to announce that its Buffalo Outer Harbor Parkway project won an Honor Award for Built Work during the Upstate New York ASLA Chapter’s annual awards ceremony last week. 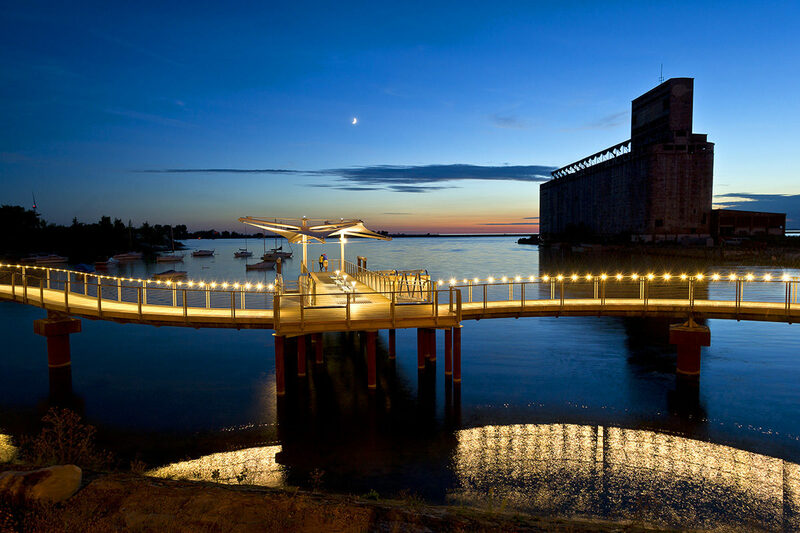 Situated on the City of Buffalo’s Lake Erie waterfront, the Outer Harbor Parkway is a transformational project for the city’s former industrial waterfront. The parkway project includes a 3.5-mile landscaped boulevard and five new waterfront access sites linked by an industrial heritage-themed trail. TWMLA worked closely with the lead engineers Parsons Brinkerhoff and the client (the New York State Department of Transportation) to re-envision what had been a traditional highway project into a parkway and trail that is an integral part of the urban fabric embracing multi-modal use and providing recreational access to the city’s waterfront. TWMLA’s design emphasizes three major design themes: connectivity, heritage and sustainability. These themes inform recurring and unique design motifs throughout the length of the parkway. Durable industrial materials including Cor-ten steel, galvanized and stainless steel, reclaimed wood, cobbles and sandstone stand up to the brutal waterfront conditions. Steel grating incorporated into pedestrian piers allows light penetration for fish habitat. Native grasses create habitat and are evocative of the grains that historically were stored in the grain silos on site.